These Intermediate Scrapbooking Tools will enable you to spruce things up and add some special looks to your pages or layouts. Decorative Craft Scissors with blades that cut various shapes and give the edges of what you cut some personality. Scrapbooking Paper Punches which punch shapes out of your paper for you to embellish your pages with. 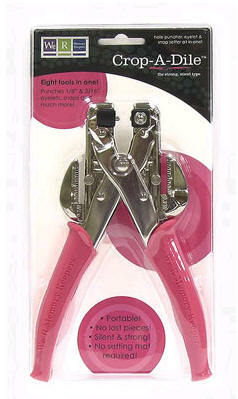 Crop-a-dile - Hole punch and eyelet setter in one. This tool will cut two sizes of holes for brads or eyelets, 1/8 inch and 1/16 inch through very thick paper or several layers of card stock. Then, once the hole is punched, the front end of the tool is used for setting the eyelets of various sizes and shapes. 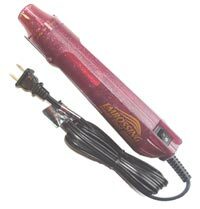 It's quiet and easy on the hands to use. The Case that is available, holds the Crop-a-dile very nicely and comes with an assortment of eyelets in 2 sizes and eight colors. The inside of the case has compartments to hold the eyelets that keep them organized. When the cover is closed they will not migrate to another section if the case is turned over. Xyron Create-A-Sticker makers can laminate adhesive to paper or flat embellishments of various shapes up to 5 inches wide. Colored Scrapbooking Chalks which can add an artist's touch of dimension to your layouts, die cuts and paper edges. They come in a variety of brands and packages with 8, 12 or 24 colors, and usually with one or two applicators, but can also be applied with Q-tips, makeup sponges, tissue or even your finger tip. These are made for scrapbooking in that they are acid free. Scrapbooking Inks that come in single color pads and various collections of colors like the ones from Clearsnap.com that can be used with rubber stamps, hand held stylus tools, or in a direct-to-paper method directly from the stamp pads. 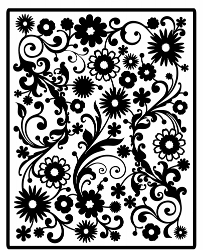 Stencils for guidance in applying Scrapbooking Chalks or Inks in various patterns. Or for using Caligraphy or Scrapbook Pens for your Font Stencils and Lettering. Rubber Stamps can be used with the Scrapbooking Inks for stamping images for a lot of different techniques. You can repeat an image to design your own background paper or border. You can use an image to highlight the theme of your layout. You can use Rubber Stamp Fonts to add Titles and Journaling to your pages. Embossing Supplies are normally used in conjunction with Rubber Stamps and Scrapbooking Inks, to highlight your stamped images with raised color and give them an elegant and professional appearance. 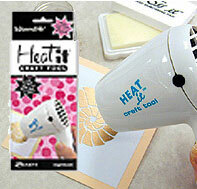 Your basic "Embossing Supplies" would include Ink, Embossing Powders, and a small Heat Gun. More to Follow. We are currently testing the Intermediate Scrapbooking Tools. Another of the great Scrapbooking Tools available are Die Cutting Machines to cut shapes and fonts, like the Spellbinders Wizard. The special thing about the Spellbinders machines, you can not only cut, you can also emboss and stencil all at the same time. SPELLBINDERS Wizard Die Cut and Embossing Machine. This universal system works with almost any die. Create beautifully embossed die cuts; emboss brass stencils; texture sheets; metal charms and much more This machines construction is light weight metal. This Wizard kit contains: one Wizard machine; two white master cuts mats; one white spacer plate; one tan embossing pad; one universal adapter mat; one starter Spellbinders style die; instructional manual; and an instructional DVD. Measurements: 4 X 7 & 1/2 X 10 & 1/2 inches. Imported. The Spellbinders Wizard has many shapes and sizes of dies. Here are some examples of the Scrapbooking Tools Nestabilities and Shapeabilities to add to your Scrapbooking Tools. 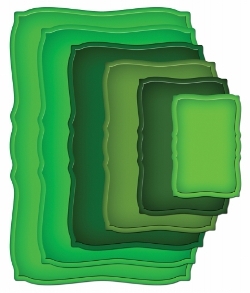 The Nestabilities are dies that cut the same shape, but in several different sizes. SPELLBINDERS Shapeabilities: Nested. Wizard Cutting Embossing Dies. For cutting; embossing; and stenciling. With these unique cutting dies you can become an instant paper artist Create beautiful embossed die cuts. Use on paper; cardstock; foil; vellum; and much more These dies can be used with most die cutting systems. Each set includes three sizes of the same shape (approximately one inch increments). Imported. Here is another example of Nestabilities. SPELLBINDERS Wizard Nestabilities Dies. These dies will work in most any diecut machine you may already own. Each set of dies comes with large and small or standard and petite; and scalloped and straight dies in sizes from 1/4 in. to as large as 5 & 1/2 in. They nest within each other and each die in any given set increases in size approximately 1/4 in. from smallest to largest. 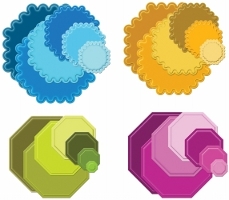 Each set contains four individual sets. Fantastic for cutting; embossing; and stenciling paper; cardstock; craft foam; leather; vellum; chipboard; foil and much more Imported. And here is an example of the Borderabilities. These neat Scrapbooking Tools make great edges for your A-2 cards and the Grand Borderabilities make great edges for your scrapbooking pages as they are 12 inches long. Just like the Nestabilities and Shapeabilities, these can be cut, embossed and stenciled. SPELLBINDERS Borderabilities Pendants Dies. Wizard Cutting Embossing Die. For cutting; embossing and stenciling. With these unique cutting dies you can become an instant paper artist Create beautiful embossed die cuts. Use on paper; cardstock; foil; vellum; and much more These dies can be used with most die cutting systems. This package contains four dies. Available in a variety of designs. Shape and size of dies vary by design. Imported. The next Scrapbooking Tools to show you are the Frameabilities from Spellbinders. 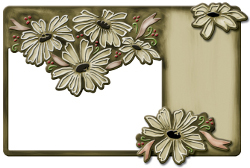 These dies make wonderful frames for your A-2 cards or to frame a photo on a scrapbook page. Also included in the Frameabilities package are other matching embellishments that can also be cut, embossed and stenciled. Spellbinders S4043 Spellbinders Cut Emboss Dies 4 x 4 & 1/4 inch. 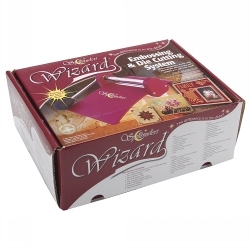 SPELLBINDERS Wizard Cutting Embossing Die 4 x 4 & 1/4 in. 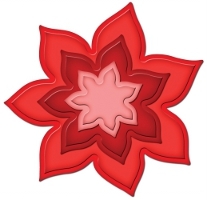 For embossing; stenciling; and cutting dies. With these unique cutting dies you can become an instant paper artist Create beautifully embossed die cuts; stencils or embossed cardstock; foil; vellum; and more Made in USA. Next on the list of Scrapbooking Tools are the Impressabilities. These are perfect for making background images for the front of you A-2 cards or for a photo matte. SPELLBINDERS Impressabilities Dies. Impressabilities embellishment templates allow crafters to emboss or deboss the front of an A2 (5 & 1/2 x 4 & 1/4 in) card or add embossed or debossed accents to precut shapes and letters. When used with inks Impressabilities templates can create elegant debossed letter press effects. Imported. New to the list of scrapbooking tools are the Megabilities, extra large dies by Spellbinders. These are great for your larger size cards and scrapbook layouts. SPELLBINDERS Megabilities. Simply combine Megabilities and Nestabilities to produce one of the most intriguing die collections around. Featuring the Nestabilities function; this line nests a bit differently and has slightly different cut sizes at various parts of the die while retaining the appropriate size for the shape. If using the purple wizard; be sure to have the S5 spacer plate available to cut the S5 Die Templates. If using the raspberry wizard; the magnetic spacer plate will work: all accessories sold separately. Package contains six Megabilities. Sizes and shapes vary by design. Imported. 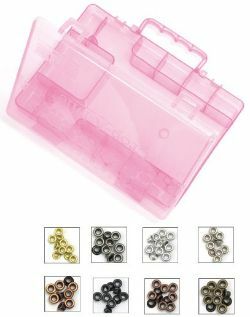 These Spellbinders Scrapbooking Tools are just a few of the selections that you have in Die Cutting machines. I have only shown you a sample of each type just to explain the differences. Spellbinders comes out with more every month and some are made on a limited edition basis. Go to the Spellbinders Store to see more Spellbinders options.